How people choose to work is changing. People are looking for flexibility, increased autonomy, new learning opportunities, and the ability to better blend their work and personal lives. Full-time, permanent jobs still dominate the labour market, but workers are increasingly opting for less traditional ways of working. The way that organisations get work done is changing, too. Hiring Managers aren’t just recruiting full-time, permanent workers anymore. They can recruit contractors, part-time workers, seasonal employees, gig workers, and more. Non-traditional forms of employment can provide organisations with the ability to adapt in an ever-changing world of work. What type of work would people prefer? How are people currently working? What motivates people and what influences their work preferences? 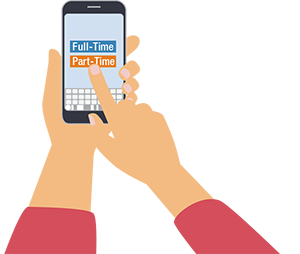 Our research found that nearly half of workers worldwide would prefer something other than a full-time job. And in some countries, the number of people who would prefer contract, project, part-time, seasonal or temporary work exceeded 60%. It’s clear that effective workforce planning needs to account for the new ways in which people want to work. Our whitepaper How We Want To Work: What Employers Need To Know About Candidate Work Model Preferences explores the mismatch between the ways in which people want to work, and how organisations want to employ them. It also makes recommendations on the ways in which employers can ensure their workforce strategy is ready to embrace new employment models. Visit the ManpowerGroup Solutions website to download the report today.